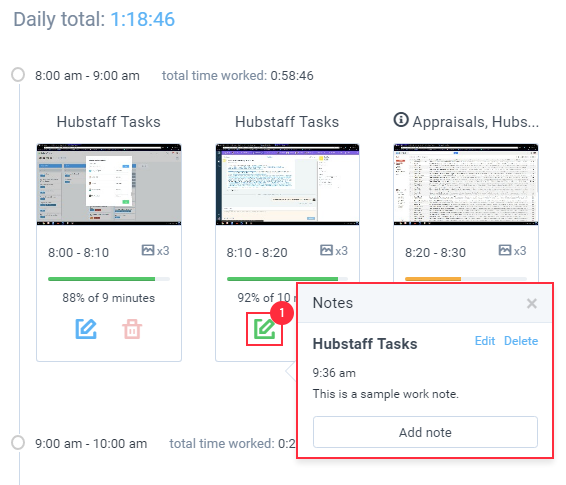 It is possible to create work notes in Hubstaff. 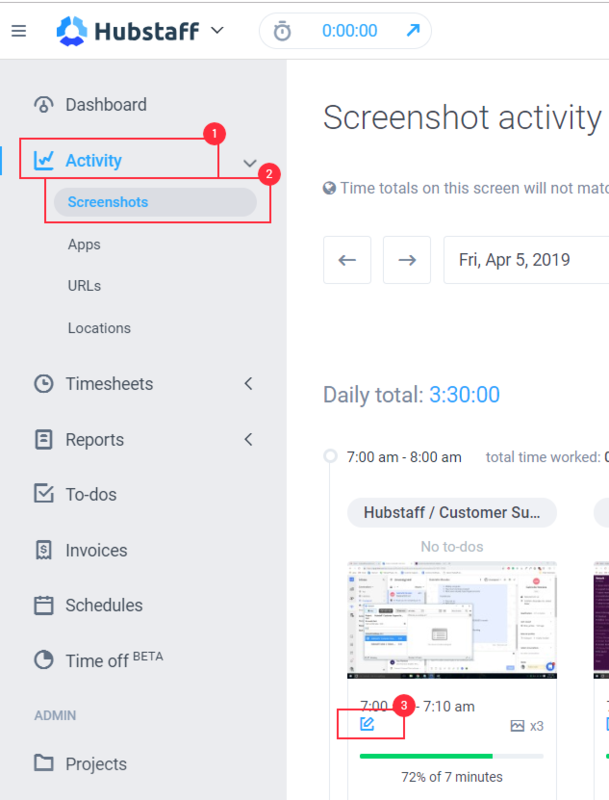 You can create a note from the application itself or right below a screenshot of activity in your account describing that activity or anything else that you were doing during that 10-minute segment of work. Make sure you’re tracking time to a project, then click Add note. Click Add note and your note will be added in the current 10-minute block of time. 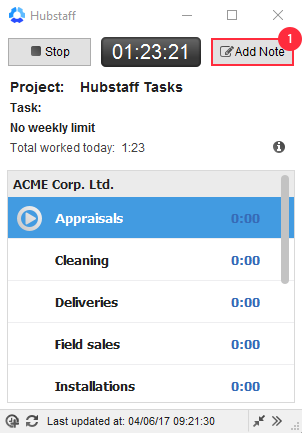 Make sure you’re tracking time to a task, then click Add Note and input the work log details. 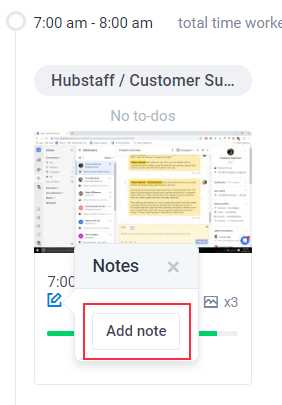 Go to ‘Activity’ page, select Screenshots, and then Click the pencil icon at the bottom of the segment of time you want to add the work note for. As you do so, you shall see the option to add a note. As you click on ‘Add Note’, Enter your note into the modal box that appears and click Save. 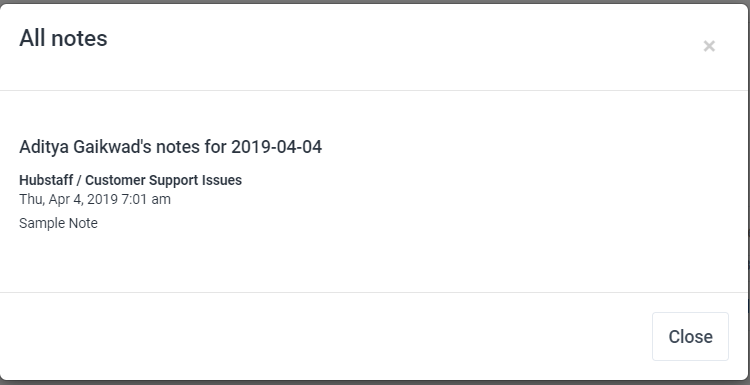 Notes can only be added by the user themselves, so this feature is not meant for discussion between a manager and their workers or team. It’s meant simply for a worker to describe what an individual screenshot was for and to give more detail on each 10-minute segment of time. A user can add multiple notes for each segment of time, we do not limit to one. After a note has been added you will see an open box displaying the note, which you can also edit if you need to. This box can be closed at any point in time. You will also see a button called All notes at the top of the Activities screen. When this button is clicked it will open up a screen that will show all the notes for the selected user for the selected day. 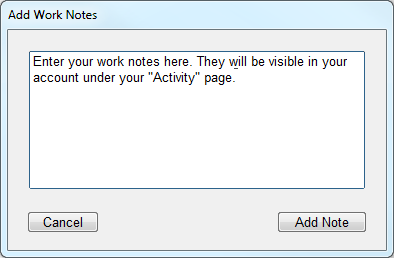 Select Reports, and then go to Time & Activities, The work notes will get display in the Notes column. Click Timesheets on the left Sidebar. and then select either Daily or Calendar view. The notes you’ve added should be located in the time entry that it’s associated with. 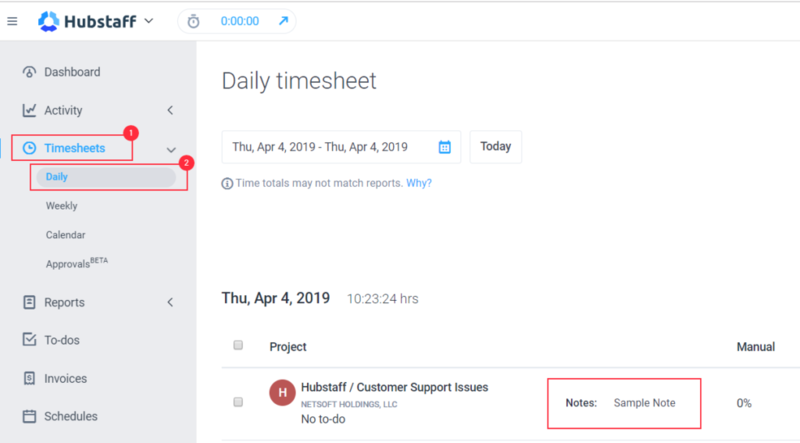 These notes can be added from the Timesheets page when adding time manually. In the Calendar view, you’ll need to click on the time entry to expose the note. How can I add, delete or edit time manually?